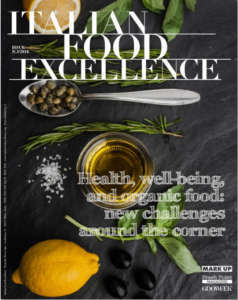 Home » Preserves » Chef for a day! The ‘Lasagna alla Bolognese’ is well known throughout the world as the ‘queen’ of oven-baked pasta. For this reason its name has never been translated into any language and abroad it represents Italy, but especially the town of Bologna. And just in a hamlet of Bologna, in a small restaurant called ‘Taverna Re Lasagna’, the chef and owner Gilberto Argini designed a box containing all the ingredients which allow cooking a real ‘Lasagna alla Bolognese’. Argini reveals: «This idea was born in my little restaurant, where I have often thought of inventing some new courses, some curious products. I asked myself: ‘What can I create more? Why someone called me Re (King) Lasagna?’ So I had a flash of inspiration, and I quickly designed a smart kit in which all the products needed for realizing this course were included». The Lasagne 'in the box’ are marketed at international level through the brand ‘Re Lasagna’, in order to remember both origins and its place of provenance. «This business started in July 2013, after the registration of the mark, and after the request of its patent. Our box intends to bring back to life, adapting it to our times, the idea of ​​a Sunday lunch with one’s family, smiles, happiness, and spending some time together cooking». 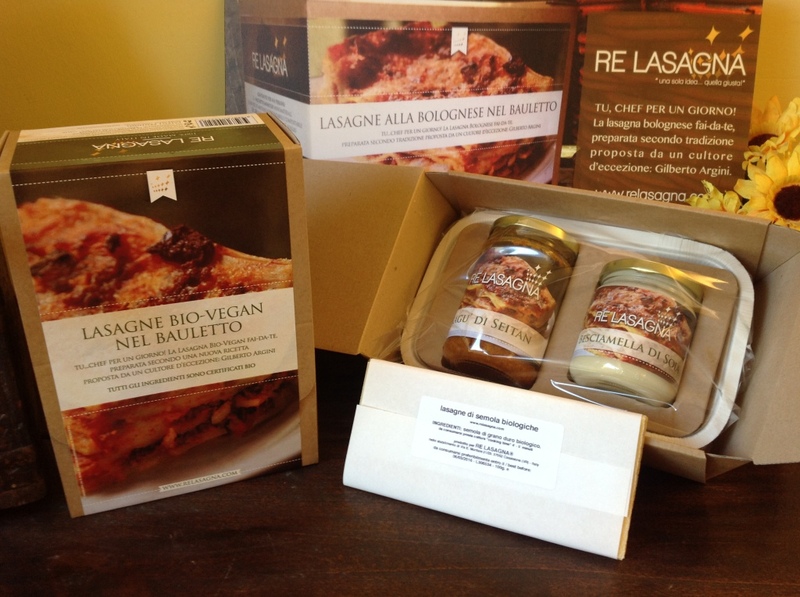 Two types of product are manufactured: the traditional ‘Lasagne alla Bolognese’ and the Organic-Vegan ones. The first is available in the format ‘Bauletto’, a box for 2 people: with it, about g 600 of Lasagna can be obtained. The second format, the ‘Family Box’, is for 6 people, and it is possible to obtain about kg 2 of Lasagna. Inside the boxes there are, respectively, either 1 or 2 biodegradable Biopap® food trays accompanied by the main products of the course; either g 400, or 830, of ‘Ragù alla Bolognese Ricetta esclusiva Gilberto Argini’ (Gilberto Argini Exclusive Recipe)’, either ml 200, or 500, of UHT bechamel sauce in Tetra-pack, and either g 100, or 200, of dry pasta for Lasagne (either 6 or 12 green sheets with spinach). On the other hand, Organic-Vegan Lasagna, in box for 2 people, contains 1 biodegradable Biopap® food tray, g 250 of Seitan Sauce, ml 150 of UHT vegetable soya sauce in Tetra-pack, and g 100 g of dry organic semolina pasta for Lasagna (6 sheets). With these ingredients, about g 500 of pasta are obtained. This is a certified and free of animal proteins product, suitable for lactose intolerant and whose taste is very similar to the traditional Lasagna. The packaging of both boxes is functional and rustic: 'do it yourself' kit in Havana card, in order to comply at the best with nature and its cycle, with internal handles and labels which illustrate the products and their components. The packaging is made in a completely traditional way. Gilberto explains: «We can deal with up to about 200 pieces a day. However, rather than in the packaging, I have invested in the quality of contents. 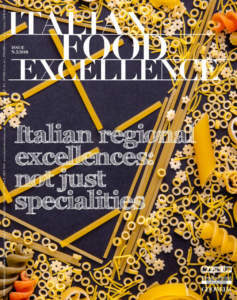 My goal consists in bringing the gastronomic culture of Bologna on all the tables in the world, communicating the concept of spending some time together cooking. Even if we are a small company, our strength bases itself on professionalism, dedication, and care we put in realizing each box, trying to communicate that everyone can become a 'chef for a day'. My greatest satisfaction consists in receiving photos sent by people who bought my Lasagna and smile while they are cooking with their family!». 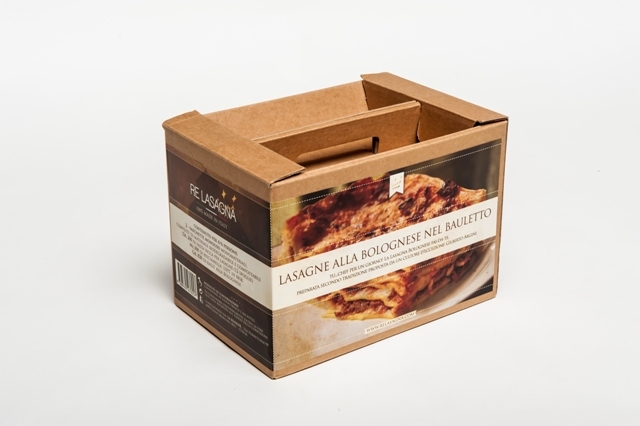 The ‘Re Lasagna’ boxes are exported abroad for 95% of company turnover. Argini sends his products all over the world, but his main target markets are England, France, and the United States. 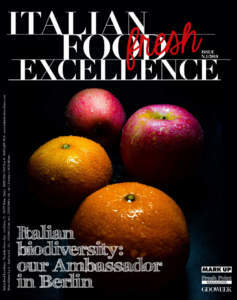 All the components of lasagna inside the box are certified for export by prestigious Italian companies, which have marketed them at an international level for a long time. The owner explains: «Our brand, alongside with patent, have been essential for sales, as well as the fact that I am a ‘100% Bolognese’. I find it very curious that so many restaurateurs purchase this box, both in the traditional version and the organic-vegan one: the customers are delighted, while restaurateurs can save on staff, thanks to the simplicity of the preparation. For the future, I just aim at increasing our sales, and I would certainly strengthen my presence in Asian Countries, where we have a wide margin of growth, since Lasagna here is particularly requested. In addition, we will soon propose new products, which are still top secret and in development».